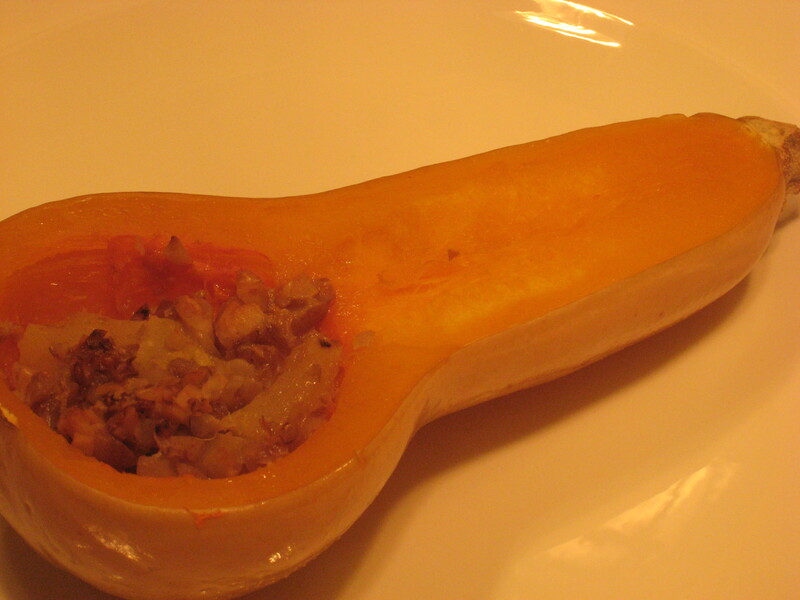 When I was making the stuffing for this butternut squash my daughter asked me why I was making charoset. Charoset is a paste made out of fruits and nuts and is served during the Jewish holiday of Passover. The word charoset comes from the Hebrew word clay and represents the mortar the Israelites used when they were enslaved in ancient Egypt. Anywho-I was just thinking of a flavorful way to eat the squash but it did give me a good idea about a different way of serving charoset this Passover (which is usually eaten on non gluten-free matzoh).